One common misconception is that every Impreza between 92-01 were “GC8’s“. The code breakdown is as follows; G – stands for Impreza, C – sedan, M – coupe, F – station wagon, The 8 stands for the 2.0 L turbo motor. 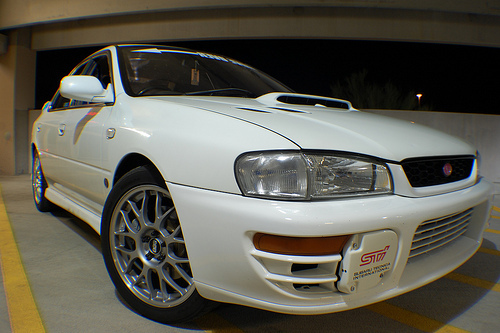 There were six versions of the GC8 STi. The different versions were marketed with consecutive numbers. 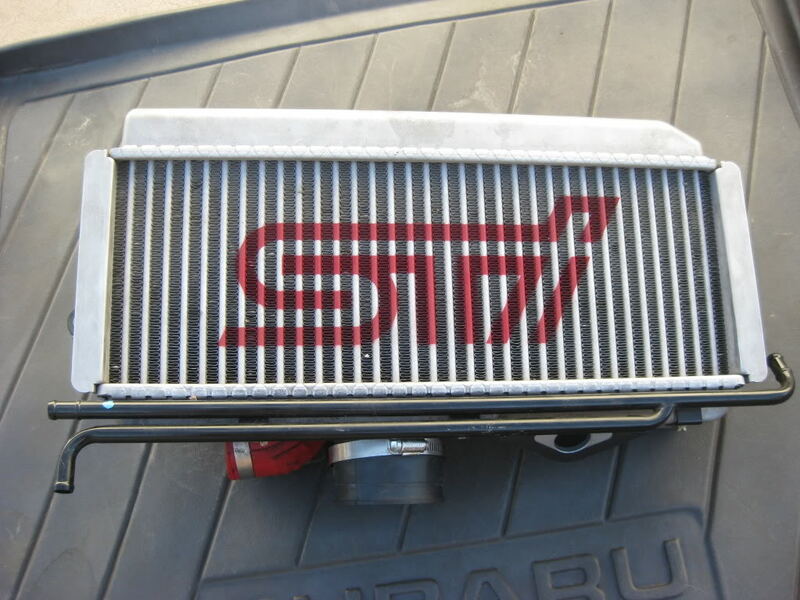 Another way to tell the version of a WRX STi was to look at the chassis code. Sedan STi Model Codes were GC8, Coupes were GM8 and Station Wagons were GF8, followed by a letter from A to G. There was a GC chassis version of the RS released in 2001 as well in the United States. A JDM Sti Coupe has the code GC8. For example, a version 4 STi coupe has the code GC8 2DD, with the 2 representing 2-doors. The first STi was known simply as WRX STi (there was no “version” moniker added to the name until the version II). 100 Imprezas per month were produced starting from February 1994. In March, production was stabilized to 100 STis a month. It had 250 PS (184 kW; 247 bhp) at 6500 rpm and 31.5 kgf·m (309 N·m, 228 ft·lbs) at 3500 rpm and weighed 1230 kg (2,710 lb). Before the STi, the highest trim line of the Impreza was the WRX and the WRX RA, first manufactured in November 1992. This version of the STi was the only version where the standard cars were taken at the end of the assembly line and replaced by STi parts. After this version, the standard STi was built alongside the WRX on the production lines. The WRX STi Type RA (marketing has made usage of the RA acronym in various ways; Record Attempt is the current usage. “R = Racing, A = Group A, FIA the racing class the WRC Impreza competes in” has also been confirmed by Subaru of Japan; the correspondence can be seen on the discussion board for this article) produced 275 PS (202 kW; 271 bhp) and 32.5 kgf·m (319 N·m, 235 ft·lbs) of torque. This version of the WRX STi was a stripped out car that had no sound-deadening, radio or air-conditioning. It came sparsely equipped as it was to be sold to racing teams that would throw out the racing parts. 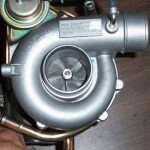 This version of the WRX came with a Driver Controlled Center Differential (DCCD). This device was an electromechanical differential that could lock the differential. 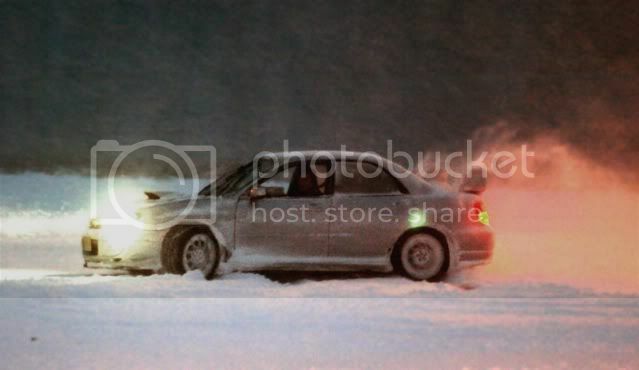 The DCCD would be beneficial to people who used it in various rally conditions.